Every year, travellers flock to South East Asia to experience its unique culture, nature and wildlife. Sadly, many organisations offering visitors the chance to spend time with animals such as elephants, are mistreating them. Elephant rides are among the most popular activities in Thailand and Cambodia, however there is growing concern about the welfare of elephants recruited to work in this way. Some are chained up, beaten and ordered to perform tricks for tourists. 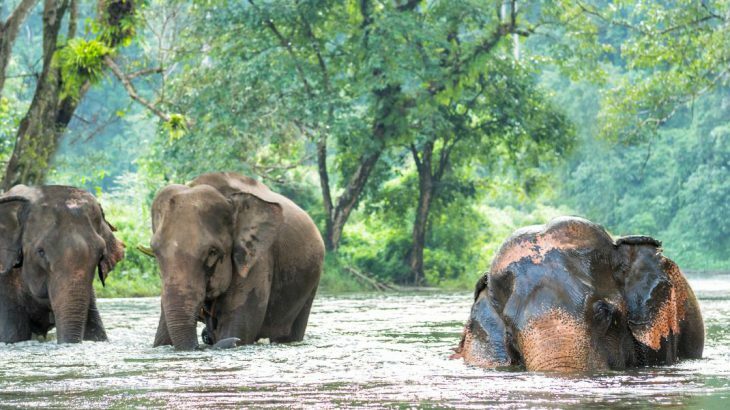 Luckily, more and more charities and ethical wildlife sanctuaries are opening to support neglected elephants and to encourage a new wave of ethical tourism in South East Asia. Across the region, organisations are working to educate local communities and provide safe and healthy environments for elephants which formerly worked in the logging or tourism industry. Elephant keepers, known as mahouts, work at the sanctuaries, forming a special bond with the animals. Other organisations, such as The Dorsal Effect, are working with local fishermen to discourage them from shark fishing and to help them to earn a living through tourism. In this article, we look at ethical wildlife sanctuaries and experiences in South East Asia, whether you want to volunteer during your holiday or simply to spend a day learning more about the local wildlife. This remarkable sanctuary was created in memory of baby elephant Boon Lott (which means survivor in Thai). Boon Lott was born several months premature and was transported with his mother, Pang Tong, to an elephant hospital in northern Thailand where Katherine Connor was a volunteer. Boon Lott and Katherine quickly formed a bond. When Boon Lott was just six months old, his owner sold him to a tourist establishment and separated him from his mother. Elephant calves should stay with their mothers for at least three years, any sooner would be devastating for the calf’s physical and mental health. Katherine, heartbroken by the ordeal, launched an international fundraising campaign to rescue Boon Lott and to allow Pang Tong to remain with her baby until he was naturally weaned. After a successful campaign, Boon Lott sadly suffered a fall that left his hind legs paralysed. Experts believed Boon Lott would pass away within days, however Katherine didn’t give up. She raised money for a hydrotherapy pool to be built at the hospital. She even modified an equine sling for him, as well as administering acupuncture, electrotherapy, traditional Thai massage and aromatherapy. “BLES is a true sanctuary that currently cares for 14 rescued elephants. Our elephants roam freely, across 750 acres of protected land and are allowed to interact naturally, in their natural habitat, enjoying a natural diet and a stress-free existence. For those with a passion for marine conservation, The Dorsal Effect is a project well worth paying attention to. 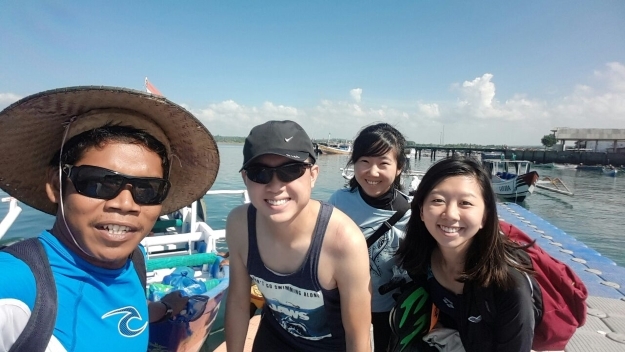 Working with local fisherman, Kathy Xu, founder of the campaign, works to protect sharks in their natural environment by offering ethical wildlife experiences. “I saw a Facebook post about Tanjung Luar shark fishing and how the people were commenting on how horrible the fishermen were,” said Kathy. “I got curious and decided to go and see and find out more for myself. “I spent some time talking to the fishermen and learned how tough shark hunting can be. I also learned that they did this as the only livelihood they knew available to them and not because they wanted to intentionally harm sharks. After speaking to them about possible alternatives, we figured having them take tourists out on snorkelling boat trips for a day, rather than shark hunting for weeks, would be a more financially viable alternative. 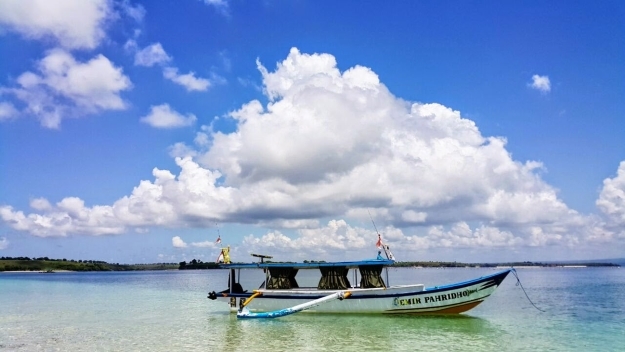 Independent travellers can opt for half, full or two day (with accommodation) boat trip experiences with the former shark fishermen as their boat captains. Kathy also crafts customised four to five day marine conservation service and science-orientated trips for curriculum requirements and educational purposes. 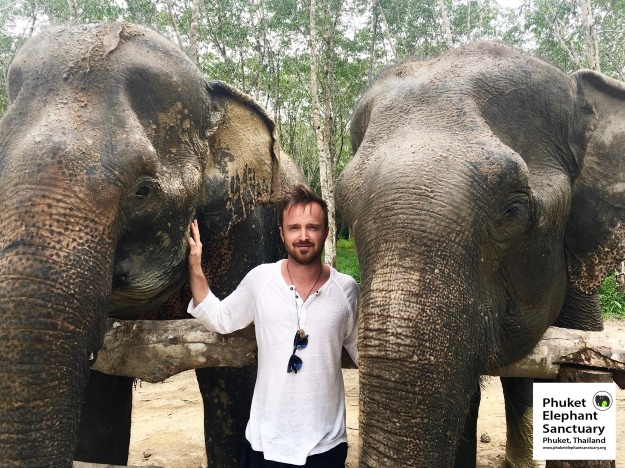 Phuket Elephant Sanctuary was founded by Mr Montri Todtane, a Phuket elephant camp owner, world-renowned elephant rescuer and conservationist Lek Chailert, founder of Save Elephant Foundation, and Louise Rogerson, founder of EARS Asia. The project was launched to rehome and rehabilitate elephants that have formerly worked in the logging and trekking industries. 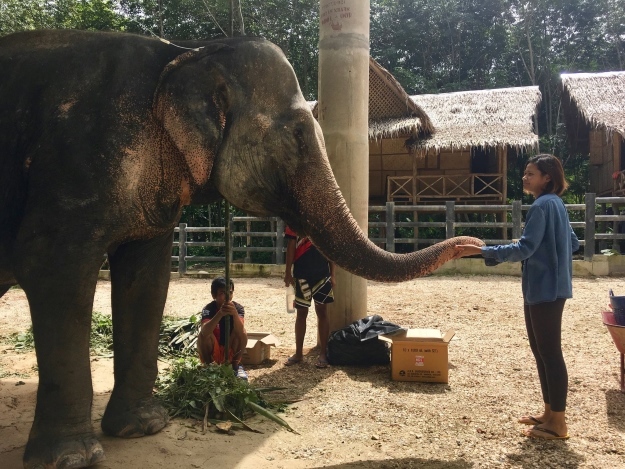 Lek Chailert has campaigned for over 10 years to invite elephant riding camp owners to “embrace change” through Save Elephant Foundation’s ‘Saddle Off’ program, according to the website. The group worked hard to build the sanctuary, complete with water for the elephants to cool off in, night shelters and an observation platform so that tourists can safely and responsibly observe the elephants. Elephants love to give their elephant friends big hugs with their trunk. “The Mondulkiri Project is an ecotourism project of the Cambodia Elephant Rescue Organisation, a local environment NGO (non-governmental organisation). The NGO protects a large area of forest from logging and has turned this forest into an elephant sanctuary. There are currently five rescued elephants living at this sanctuary, and they will remain there for the rest of their lives, away from the elephant riding business at Angkor Wat and hard work in the logging and farming industry. “All the staff are from the local indigenous communities, thus providing them with ecologically sustainable employment opportunities. The NGO also provides the staff and their families with medical support when required. “When elephants first arrive at the Mondulkiri Project, they show signs of abuse and trauma. Slowly, they regain their health by having access to as much natural food and water and shade as they need. These elephants will never have tourists or mahouts riding on them again. No bull hooks are used. “The best way to support this NGO is to book a one or two day tour with the Mondulkiri Project. It is located 6 hours east of Phnom Penh and 8 hours south east of Siem Reap. “Burm and Emily’s Elephant Sanctuary (BEES) is a community based elephant rescue, retirement and care centre as well as a small animal rescue. BEES was founded in 2011 with the aims of improving the welfare for elephants and animals in Thailand. We run community initiatives and work to help elephants, animals and the community. In addition to elephants, BEES currently looks after 16 rescued dogs as well as 14 rescued cats, all living onsite at the sanctuary. On your holiday to Cambodia or Thailand, it’s well worth adding a visit to one of these ethical sanctuaries to your bucket list. Observing an elephant in a safe environment is a truly memorable experience and will in turn help to support local communities and encourage responsible wildlife tourism. Cambodia elephants, nature, sanctuary, Southeast Asia, wildlife. permalink. Elephant Valley Project in Cambodia is a reputable, ethical and transparent Sanctuary that has been in existance for over a decade. Their 2nd project is Elephant Valley Thailand just outside of Chiang Rai.